The Fitness Cheat...with a tweak! NOTE: It's been almost 4.5 years years since I started this thread and a lot of new combinations have been tried by me as well as other members (many thanks to them). Besides the fitness cheat many other ways of editing player stats and finances especially revenue streams have been discussed. I suggest one go through the entire thread patiently. It's gonna be worth your time. I'm not sure how many folks feel the same way but the fitness cheat is not perfect ... Well by now most of us are aware of the fitness bug (29634/32700) and the fun associated with it, but there are a few things that slightly irritate me. For instance, the cricket scorlines: 17-0, 21-0. that's impossible in the real world. Also the fact that i hv to edit my player's fitness & condition b4 every match which is a bit time consuming. There are '29634' presets for FMRTE but it modifies the entire team resulting in those cricket scorlines. Also modding only my strikers' fitness results in them being the only scorers for the team throughout the entire season besides scoring 150+ goals every season. My point is 'how to make the game as real as possible even when using the fitness cheat'. Well i tried to do something different. I basically tinkered with the '29634' preset. I reduced the values for fitness n condition to 15000 instead of 29634/32700, deleted the jadedness settings and loo....I AM F**KIN' BARCELONA NOW...hell even better!! 1)I get possession of 60-70% every match (in some away games u might get <60% but not <55%). 2)The best part is the scoreline. I'm managing Liverpool currently and there was this away game at Chelsea, and what a classic it was. Fulltime stats: won 2-0, possession- 68%. Now i find this as real as possible (i doubt whether Liverpool can ever do that). On an average i hv been scoring 4-6 goals per match while having the lion's share of the possession, though in some odd game u might end up scoring 9-10 goals depending upon your opponents and tactics. 3)It's less time consuming. Just open your teamsheet in FMRTE load the modified preset b4 every match and you are ready to go. (You don't need to save and refresh, even when freeze trainer settings are off) 4)This preset is very sensitive to your tactics. If u are using tactics like - very rigid and contain/defense u might not score at all even though u are having 70% of the possession. I'm currently using the GoalsGalore tactic available on www.fm-base.co.uk I hope some if not many of you find it useful. After so many months, in fact years of tweaking i have finally found THE combination (PHEW!). Frankly, now i really enjoy watching the matches in 2D mode. And all those folks who are new to FMRTE, believe me it's much better than increasing player attributes as you don't have to freeze the entire friggin' game! Thanx for bearing with me! :blush: & please rate! PFA: The FMRTE preset and the stats from the aforementioned 'Chelsea vs Liverpool' match. Here is a basic guide that outlines the features for FMRTE. It covers the core features like Mass Edit, Search Filters, Preset Manager and more and I will add more PDFs covering more features when I can. It is still a work in progress as I need clarification and explanations on some sections of FMRTE so I need your feedback for verification. FMRTE Guide Please post constructive feedback with relevant and sensible suggestions which I will read as soon as I can. Any unrelated posts will be deleted with no exception. If you would like to download the features separately, then you can get them from the attached files below. Favourites | Freezer Manager | Future Transfers | Main Window | Mass Edits | Object Page | Player Retirements | Preset Manager | Search Filters Settings (Club & Filter Settings) | Settings (Freezer Settings) | Settings (General) | Settings (Rating Settings) | Settings (Wonderkid Generator) useful tips for editing pre game. Hi everyone just another feedback, as you can see its 4AM since we also need some sleep we are going to give a it a break its almost there . And as it was told before there is no need to keep pointing fingers we do understand the impatience and we also are very grateful for all the support. Please discuss the next FMRTE version in this thread as BraCa had recently announced that there will be an FMRTE for FM 17. FMRTE will be released after the release of FM 17 as BraCa needs to get a copy of the game and test it to see if he can code the software for this version. Once he is happy he can do it, he will change the software's code to work with FM 17 and release FMRTE when he can alongside the licensing too. The launch of FMRTE 17 will happen at BraCa's pace and say so as he is the owner and primary developer. Any posts asking this question will be deleted without warning or notice and with no exceptions. Any persistent posters will be warned/punished at a moderator's discretion. 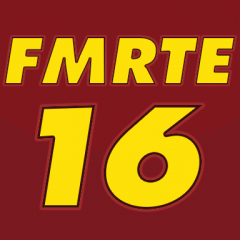 Now that you have a potential date, please stop with the constant questions on when FMRTE will work with the new update. It is getting tedious watching people posting and posting the same question over and over again. Guys, just go there: http://www.fmrte.com/forums/files/category/23-fmrte/ Follow the folder, and you will get email when something is uploaded in FMRTE17 folder. No need to refresh every 10 seconds. No need to spam "Yo dude BraCa watafak you told 1-2 days and now is 10 minutes after your deadline, comon brooo". No need to test mods patient with your impatience. Peace. I'm really sorry, but reading through this conversation from start to finish, I am really dumbfounded. Braca has said it will be coming shortly, previously saying 1 to 2 weeks, but since he came out and said 1 to 2 days people have turned nasty/impatient. For goodness sake, Braca is doing an amazing job helping you guys cheat your way through the game. I for one am grateful that he puts in sterling work to get the program out as quickly as he does, have any of you guys tried writing a program to do what FMRTE does? Guess not! Just be patient and give Braca time. What an rotten attitude. The writers/testers take time of their own to help get this brilliant application out to us and you say you "payed for nothing". Show some patience. Idiot. I don't use it to cheat either. I just use it to ruin tottenham Hotspurs team. HI BraCa, I am sure you are working hard to get a version out for Mac users but an update on the matter would really help us have some indication to when we can expect it to be ready to download. I have nothing but respect for your work and what you have created for us but we are paying customers and some feedback/update would be much appreciated. We do pay attention to the requests section i can also tell you that it was not easy to fulfill this request. There are also other added features that we didnt mention on the change log little things that will create a better experience such saving the windows size when you exit FMRTE, one button set Match Preperation values to 100, export players info now add's the ID of the player to the filename in order to avoid replacements etc etc Regarding the update please avoid updating your game is order to continue using FMRTE we are already working on the new version.